If you’re new to vegan eating or considering making the switch, you may find yourself wondering how to get calcium without milk and other dairy products. While many plant-based foods contain calcium—like leafy greens, almond butter, and navy beans—the dairy industry spends millions of marketing dollars to convince us that we need to consume cow’s milk for calcium and strong bones. It’s not hard to understand why so many people are confused about vegan sources of calcium. Well-known for being high in protein, soybeans are also an excellent source of calcium! One cup of boiled edamame contains 175 mg of calcium, and one cup of fortified soy milk contains up to 368 mg. Ten of these rich dried fruits contain 140 mg of calcium. To sweeten the deal, these treats are also high in fiber and iron. This versatile bean is packed with calcium: 125 mg per cup! Use navy beans in soups, salads, and your favorite chili recipe. This tasty leafy green packs 94 mg of calcium per cup. Try kale in a salad, on sandwiches, or in your favorite green smoothie! One cup of calcium-fortified almond milk provides a whopping 450 mg of calcium. Try it over cereal, with cookies, or by the glassful! Dark leafy greens are packed with calcium, and collard greens take first prize with 266 mg per cup! Countless studies show that dairy in general is detrimental to human health. Populations that consume the most cow’s milk and other dairy products have some of the highest rates of osteoporosis and hip fractures, according to a study on bone health. Furthermore, cow’s milk has been linked to various cancers, obesity, and acne. Ready to give dairy-free eating a shot? 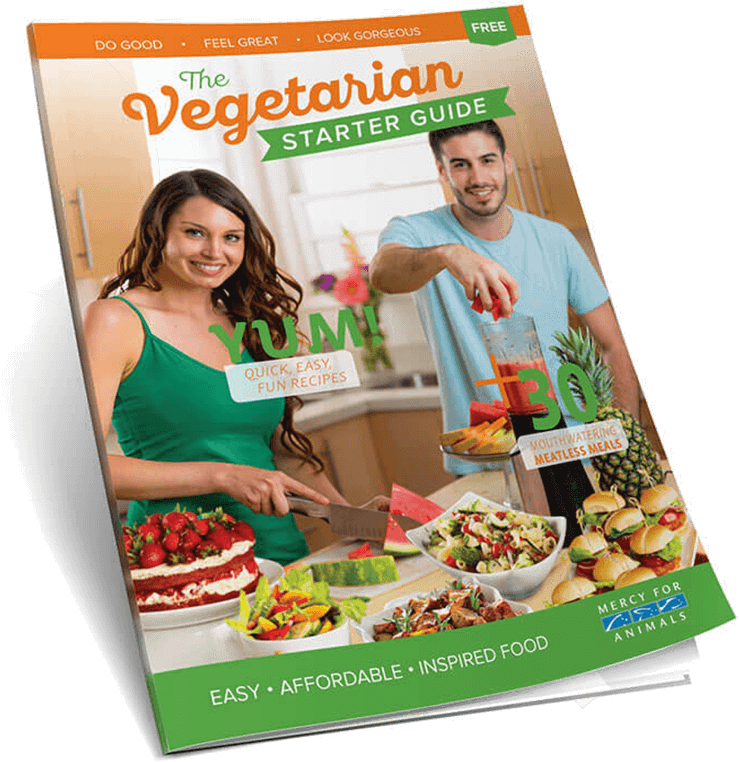 You can find savory meal ideas, recipes, and tips on making the switch in our FREE Vegetarian Starter Guide. Order yours today!